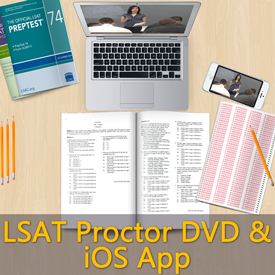 SimuGator LSAT Proctor DVD is a complete video simulation of the LSAT shot from the perspective of a test taker. Its purpose is to enable students to easily time themselves on practice LSAT PrepTests while building immunity to the distractions that they will face on test day. This ability to take LSAT PrepTests under actual conditions results in greater concentration, decreased anxiety, and an overall stronger performance on the real LSAT. Accurately and easily time your LSAT PrepTests through your own personal LSAT proctor who tells you when to start, when there are five minutes remaining, and when to stop each section. 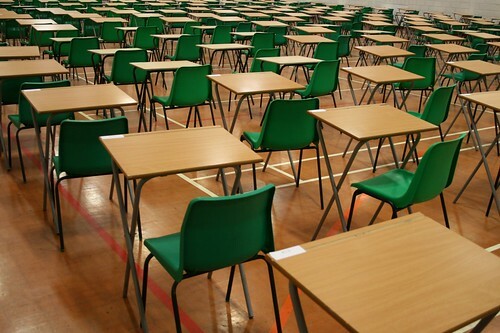 Increase concentration by turning on Distractions Mode which reproduces distractions that you will face on test day. Stay focused, disciplined, and motivated because the sections move along just like the real LSAT, which eliminates any temptation to take breaks between sections. Become comfortable with pacing yourself using your analog wrist-watch. Click to learn more about this invaluable LSAT study tool. no mechanical pencils? really, lsac? 8 dixon ticonderogas in a ziplock back along with the limited things we’re allowed to bring lsats… I swear LSAC tells almost every School ur taking the LSATs. My email Box is Full with Good Luck on the LSATs messages from Schools. When should I start to prep/take the LSAT if I am planning to go in fall of 2011? What score will I need?